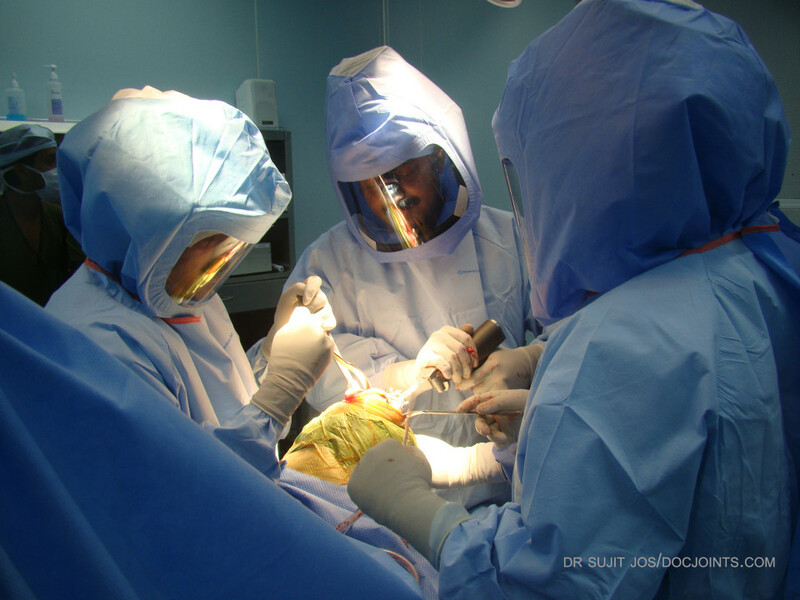 Knee Injuries - DOCJOINTS//DR SUJIT JOS//Total joint replacements with the best quality care at affordable price options at kochi, Ernakulam, Kerala, India / Knee, hip, shoulder, ankle, elbow replacement, Sports Medicine – Keyhole / Arthroscopy for Sports Injuries / cartilage preservation and cartilage regeneration techniques / minimally invasive subvastus / rotator cuff repair, biceps tenodesis, subscapularis repair, shoulder dislocation, bankart, Latarjet / Dr Sujith Jose is a renowned Orthopedic surgeon with vast experience in Joint replacement and satisfied patients from all around the world. Economical / budget knee done as special package price/ cartilage restoration, OATS, Ankle arthroscopy/ acl pcl mpfl meniscus repair/ wrist arthroscopy tennis elbow/ modular imported high quality operation theatre – Johnson & Johnson theatre with double lamina flow – The best care for your joint problems! like football. Ligaments are strong rope-like attachments between the knee bones. If a ligament is broken, the relative movement between the bones will be increased and this will eventually lead to injuries to other structures inside the knee joint, most importantly the meniscus. 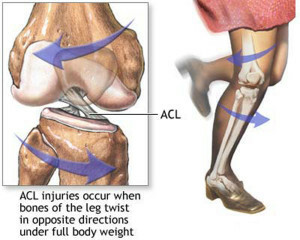 ACL (Anterior Cruciate ligament injuries are the most common. Partial tears (less than 50% of the diameter involved) can be treated with temporary bracing and physical therapy. In such cases the relative movement between the bones when you or while using stairs will be minimal. The goal of treatment of an injured knee is to return the patient to their desired level of activity without risk of further injury to the joint. Each patient’s functional requirements are different. Treatment may be without surgery (conservative treatment) or with surgery (surgical treatment). Those patients who have a ruptured ACL and are content with activities that require little in the way of side stepping (running in straight lines, cycling and swimming) may opt for conservative treatment. Those patients who wish to pursue competitive ball sports, or who are involved in an occupation that demands a stable knee are at risk of repeated injury resulting in tears to the menisci, damage to the articular surface leading to degenerative arthritis and further disability. In these patients, surgical reconstruction is recommended. The meniscus is a C-shaped piece of tough, rubbery cartilage like structures that acts as a shock absorber between your shinbone and your thighbone. It can be torn if you suddenly twist your knee while bearing weight on it. Meniscal tears may also occur without a sudden severe injury. In some cases a tear develops due to repeated small injuries to the cartilage or to wear and tear (degeneration) of the meniscal cartilage in older people. In severe injuries, other parts of the knee may also be damaged in addition to a meniscal tear. For example, you may also sprain or tear a ligament. Small tears may heal by themselves in time, usually over about six weeks. Some tears which do not heal do not cause long-term symptoms once the initial pain and swelling subside, or cause only intermittent or mild symptoms. The torn meniscus may be able to be repaired and stitched back into place. damaged, the joint surface may no longer be smooth. Moving bones along a tough, damaged joint surface is difficult and causes pain. 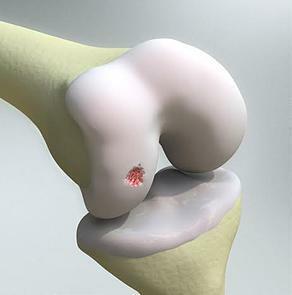 Damaged cartilage can also lead to arthritis in the joint. 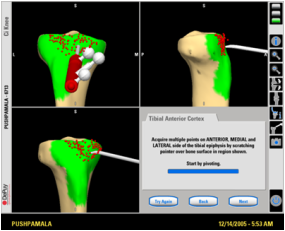 Many procedures to restore articular cartilage are done arthroscopically. High Tibial Osteotomy is a surgical procedure to correct the position of your leg and reduce the pain you have in your knee. When you draw a line from the hip joint to the ankle joint, normally it should pass through the centre of the knee joint. When there is cartilage injury on one side of the knee joint (most commonly the inner side of the knee) the knee joint starts to curve to the opposite side. This causes increased loading on the affected side and consequent faster progression of the joint problem. High tibial osteotomy (HTO) aims at realigning the limb to its normal alignment thereby shifting the weight on the bad cartilage of the affected side of the knee joint to good cartilage of the unaffected side. The persons who underwent this procedure report substantial pain relief and increase in activity levels. 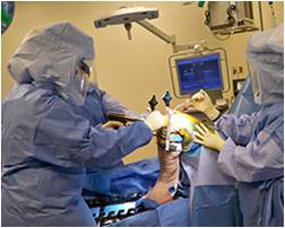 This is a procedure usually reserved for younger active individuals who are very young to be offered a knee replacement surgery.